Durst, a manufacturer of advanced digital printing and production technologies, has launched a new printing platform..
Durst, a manufacturer of advanced digital printing and production technologies, has launched a new printing platform – the P5 series. The first member of the family is the large format printing flagship, P5 250 HS, with shipping starting from April. The P5 250 HS is targeted towards high volume industrial production, as well as one-offs in offset quality. P5 relates to five core features at the heart of this technology: productivity, reliability, workflow, versatility and print quality. The P5 technology consists of a series of new generation printers along with newly, in-house developed software and workflow solutions. The family also has state of the art, touch operation based userinterfaces and leading-edge remote service capabilities. Everything is aimed and streamlined to maximize performance and uptime of the printing family, along with unparalleled flexibility in media and job handling. Durst’s iconic industrial design, which was originally developed by the famous Ottl Eicher, has gone a further step with the P5. A design studio from Munich canvassed opinions from many customers and operators with a view to integrating their wishes into a new concept. This has been achieved for the P5 – and feedback will be incorporated into many Durst product lines in the future. When compared to the industry benchmark – Durst P10 250 HS – the new P5 is 70% more productive. Featuring latest MEMS nozzle plates powered by Durst proprietary data-path and electronics, the result is a high-speed printing system with ultra precise drop placement and industrial level reliability. • Durst Workflow, which provides an in-house developed suite of applications custom tailored for Durst printers and with unique features – beyond ripping. Electronics For Imaging, Inc. announced the addition of the EFI VUTEk HS125 F4 and HS100 F4 inkjet presses for &ldqu..
Electronics For Imaging, Inc. announced the addition of the EFI VUTEk HS125 F4 and HS100 F4 inkjet presses for “Fast Graphics” out-of-home applications to its industry leading lineup of hybrid flatbed/roll superwide-format products. The two new printers reconfigure the eight ink channels of the VUTEk HS series platform in a CMYK x 2 setup, efficiently addressing the need for cost-effective production on banners, billboards, building wraps and similar applications. The new press models offer a significant speed increase, printing up to 225 boards per hour on the HS125 F4 and up to 190 boards per hour on the HS100 F4. The presses also include the proven, standard HS features and options customers have come to expect such as pin and cure, variable-drop grayscale imaging, and full- and semi-automated materials handling. EFI’s new VUTEk HS presses for Fast Graphics out-of-home production will be available this quarter from EFI. Also beginning this quarter, customers who purchase VUTEk HS125 Pro and HS100 Pro presses can convert them to the new F4 models through a modification completed in the field. Canon Australia launches a new line-up of large format printers, with the imagePROGRAF TX Series and imagePROGRAF PR..
Canon Australia launches a new line-up of large format printers, with the imagePROGRAF TX Series and imagePROGRAF PRO-6000 hitting Australian shores in February 2018. With the launch of these new devices, Canon expands its capabilities in large format printing and brings the latest technologies to its Australian business customers. Canon’s new imagePROGRAF TX Series includes the imagePROGRAF TX-2000, TX-3000 and TX-4000. They are available in 24-inch, 36-inch and 44-inch widths respectively. The new devices offer a number of enhanced features that were only available in higher-end toner devices therefore making them ideal replacements for the high-end CAD market. The entire TX Series is also available as a multifunction print (MFP) solution when combined with the new T-Series scanner and All-In-One 15.6” touch-screen PC. The imagePROGRAF TX-2000MFP T24, the TX-3000MFP T36 and the TX-4000MFP T36, complete the new TX-Series allowing customers to buy a machine that is suitable for their environment based on their needs, budget and available space. When you combine the MFP capabilities with the newly developed LUCIA TD pigment ink, print service providers are able to offer a print, scan, copy solution to their technical clients, as well as durable, light-fast posters to their graphics customers. All from the one footprint. All models in the Series are available with the optional Mulitfunctional Roll Unit. This system allows two rolls of media to be loaded at the same time. Whether you want to use different types or sizes of paper, the machines are able to automatically switch to help you reduce waste and misprints. Alternatively, you may wish to use the same size and type of media on both rolls, in which case, you can now have up to a total of 400m (80gsm Bond) paper loaded, reducing the number of times you need to change the roll. The lower roll unit also works as a take-up reel, making it a truly versatile solution. However, if you still want cut-sheet output, the new 100-sheet stacker allows your print jobs to be collated in order, reducing the amount of time you spend compiling large sets of documents. SmartWorks MFP version 5 is equipped with customisable menus and buttons. The new copy and archive mode improves productivity and makes it ideal for supporting office workflows, whatever the printing environment. The intuitive user interface, straightforward roll loading and direct printing from USB flash drives offer users optimum usability. The imagePROGRAF PRO-6000 completes Canon’s PRO-Series range of 12 colour printers and helps to ensure the same high print quality across the range from 17” to 60” wide. This ensures print consistency for multiple machine users as all devices use the same print head, ink type and processors. Designed to meet the needs of photo professionals and graphic artists who want sharp, brilliant and beautiful prints to share with the world. 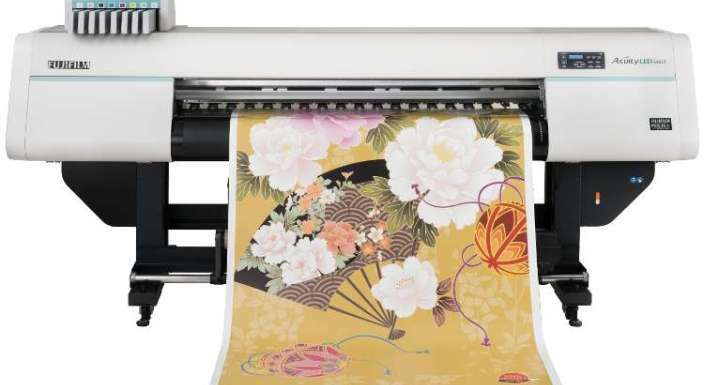 Fine art professionals and graphic artists will welcome the versatility that the imagePROGRAF PRO-6000 offers, including the ability to print on various media types, such as a full range of photo papers, fine art papers and specialist materials, such as fabric and canvas. Like previous models, the PRO-6000’s sleek design emphasises its link with Canon’s EOS digital cameras and red-line L-Series lenses. “With the introduction of our largest model the imagePROGRAF PRO-6000, we round out our full line of high quality PRO Series printers. 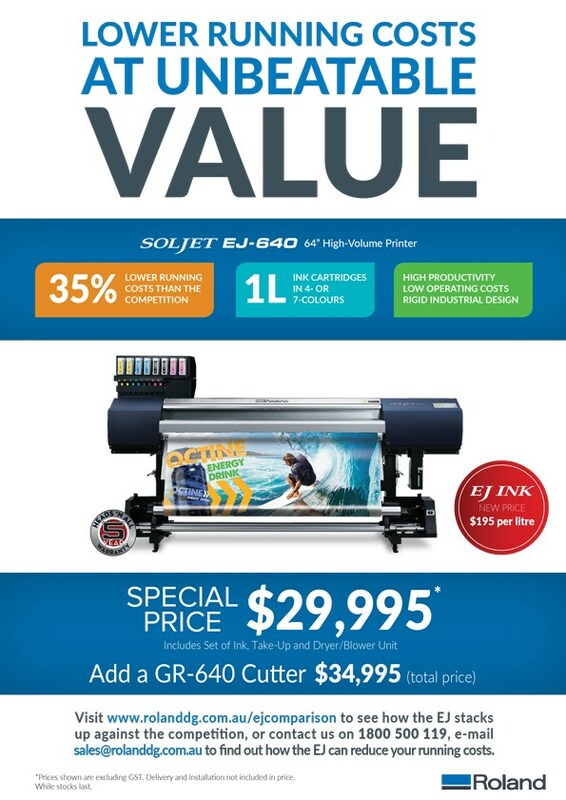 Our PRO Series now offers an expansive line-up of large-format inkjet solutions and sizes for a broad range of applications in the photo, fine art, proofing and Graphic Art market segments. The consistency in technology from 17” to 60” allows customers to have print consistency when printing from different machines,” added Maikap. We now have an opportunity for a proactive and self-driven individual to join our team as Graphic Solutions Commerci..
We now have an opportunity for a proactive and self-driven individual to join our team as Graphic Solutions Commercial Sales Manager based out of our Sydney office. We are a world leader in graphics that identify, promote and inform. We use our extensive experience and creativity to help companies across the world bring brand visions to life in powerful and exciting ways. Our Graphics Solutions provide high-performance, pressure-sensitive materials designed for use on vehicle and building graphics, and are regularly converted for digital inkjet print, sign-cut and screen print technologies across vehicle and architectural branding. We are constantly innovating to make graphics more exciting, noticeable and easy to install. Decades of know-how and the latest technologies – like Easy Apply Technology and our Supreme Wrapping Films – allow us to help our end users transform ideas into impactful messages. The Graphic Solutions Commercial Manager position has oversight and accountability for the management, growth and profitability of Distributor Accounts and responsibility for the execution of key commercial strategies and tactics to impact the effectiveness of our Graphics Sales Team. Drive increased customer satisfaction and service, including product sample support, ICS Warranty support, facilitating technical field calls and the prompt support of technical information. Responsible for executing growth strategies to enable Master Distributors and Direct Accounts to meet growth and profitability targets. Minimum 7 years’ experience in Sales and Marketing related roles, preferably within a B2B Business Environment involving a regional Supply Chain, and Team leadership experience with ambition to progress your career to Business Management into the future. Previous experience in roles where cross-functional influence and working relationships is essential. The successful candidate will be proactive, resourceful, self-driven and comfortable to hold themselves and others to account. Strong communication skills and the ability to build relationships with stakeholders at all levels is essential. There is an attractive remuneration package on offer including motor vehicle allowance and bonus, as well as company provided training and career development opportunities for the successful candidate both locally and abroad. Head to www.seek.com.au/job-apply/35323592 for more details. Fujifilm today announces the release of a new machine in its Acuity series, the Acuity LED 1600R. This accessible, d..
Fujifilm today announces the release of a new machine in its Acuity series, the Acuity LED 1600R. This accessible, dedicated roll-to-roll printer is optimised for four-colour CYMK printing, but otherwise shares all the benefits in quality and performance of the highly successful Acuity LED 1600 II hybrid model. Exclusive to Fujifilm and featuring Dimatix Q-class industrial print heads, the Acuity LED 1600R offers four channels, with the option of a modular upgrade in the field up to eight channels. It features a high density mode capable of handling heat-sensitive roll media while printing stunning, vibrant displays – making it suitable for backlit and window applications. Like the Acuity LED 1600 II, it offers excellent productivity of up to 33m² per hour. Producing low levels of heat and requiring lower ink volumes and less power than similar machines on the market, the newest member of the Acuity range has instant start-up, long-life LED UV lamps, no ozone or VOC emissions and only one consumable – the ink. That ink is the new Uvijet RL ink range which is available in CMYK and CMYK plus light cyan and light magenta. A modular upgrade option to include white is available, with an option for up to eight channels to include clear ink, also being added later in the year. Designed for roll media, Uvijet RL is manufactured by Fujifilm Specialty Ink Systems in the UK, and combined with the 1600R’s Fujifilm patented LED curing system and Dimatix print heads, it delivers near-photographic print quality at an impressive speed. 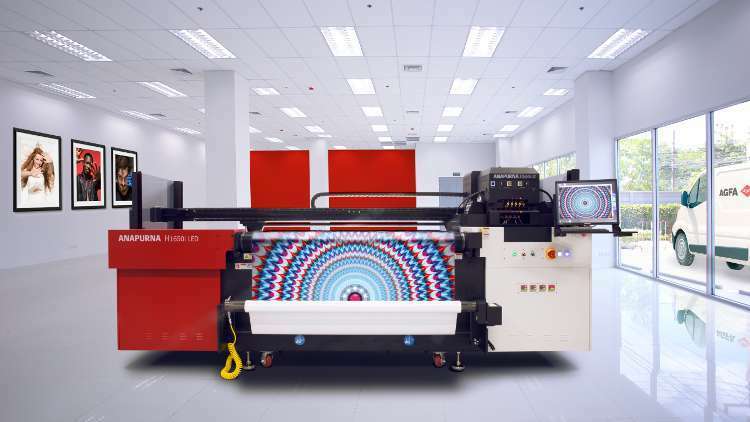 Agfa Graphics is expanding its wide-format hybrid Anapurna LED series for sign and display professionals with a new ..
Agfa Graphics is expanding its wide-format hybrid Anapurna LED series for sign and display professionals with a new 1.65 m-wide hybrid printer – the Anapurna H1650i LED. This smaller hybrid printer was designed as an accessible and cost-effective production tool that combines the latest LED technology with Agfa Graphics’ signature high-quality output. The latest addition to the Anapurna LED series – the Anapurna H1650i LED – is a smaller version of the popular and robust Anapurna H2050i LED printer, with which it shares several features and benefits. Like its bigger brother, the new Anapurna prints on rigid and flexible media by means of LED curing, resulting in a lower cost of ownership. It combines this with Agfa’s award-winning imaging quality, ink-saving thin ink layer technology and perfect white ink printing reliability, yet requires a smaller financial investment than other Anapurna engines. 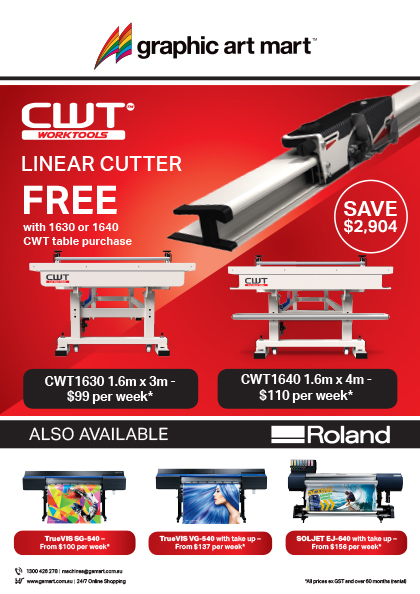 Roland DG Australia, a leading provider of wide format inkjet printers and printer cutters for the professional dura..
Roland DG Australia, a leading provider of wide format inkjet printers and printer cutters for the professional durable graphics market, has released dates for VersaWorks: Beyond the Basics, the Roland DG Academy training course for 2018. VersaWorks: Beyond the Basics has been developed to improve users’ knowledge of VersaWorks and VersaWorks Dual, increasing the efficiency and productivity of their output. Following on from 2017’s successful training sessions, the course will be held across the country once again in 2018. Since 2009, Roland DG’s VersaWorks Academy training courses have been responsible for accrediting more than 600 students. Over 95% of those surveyed have said that they would recommend the course to others and many more have given positive feedback on how relevant, informative and easy-to-understand the course is. Vicki Wesley at Grove Wesley Design Art said: “Having used VersaWorks for  years, I haven’t used or known the program to its whole potential. This course was well worth doing”. Rakesh Kapadia from Rax Signs and Designs also got a lot out of the training: “There is a lot this program can do. You only know it when you do this course”. There are only 8 places available per class, so get in quick to secure your spot. To find out more or make a booking, go to http://go.rolanddg.com/e/66942/support-roland-academy/c3zlww/334488978, email training@rolanddg.com.au or call 1800 500 119. The Heidelberg subscription model follows the growing pay-per-use trend in mechanical engineering and aims to move a.. The Heidelberg subscription model follows the growing pay-per-use trend in mechanical engineering and aims to move away from growth based solely on selling and installing printing capacity. Under this Heidelberg model, customers only pay for the number of sheets actually printed. Under the conventional business model, they buy the presses and pay separately for consumables or services. With the new digital business model, all the equipment, all consumables required – such as printing plates, inks, coatings, washup solutions, and blankets – and a comprehensive range of services geared to availability are included in the price per sheet to be charged. This differs significantly from the click charge model already introduced by digital press suppliers. Although these suppliers also charge per sheet, they mainly base this on their own costs and not on the customer’s business model. “Under the Heidelberg subscription model, the economic responsibility for optimum technical availability, increased productivity, and maximum utilization of the installed equipment no longer rests solely with the customer, but for the first time also with the supplier,” explains Professor Ulrich Hermann, member of the Management Board and Chief Digital Officer at Heidelberg. “After all, a customer only enters into a long-term agreement with us if the benefits are permanent. We ensure this will be the case with our operator model. A situation in which customers are looking to make full use of the opportunities of digitization throughout the system also represents a forward-looking solution,” he adds. The new boat – spotted covered in vibrant camouflage at the BAR testing facilities – will establish a wh.. 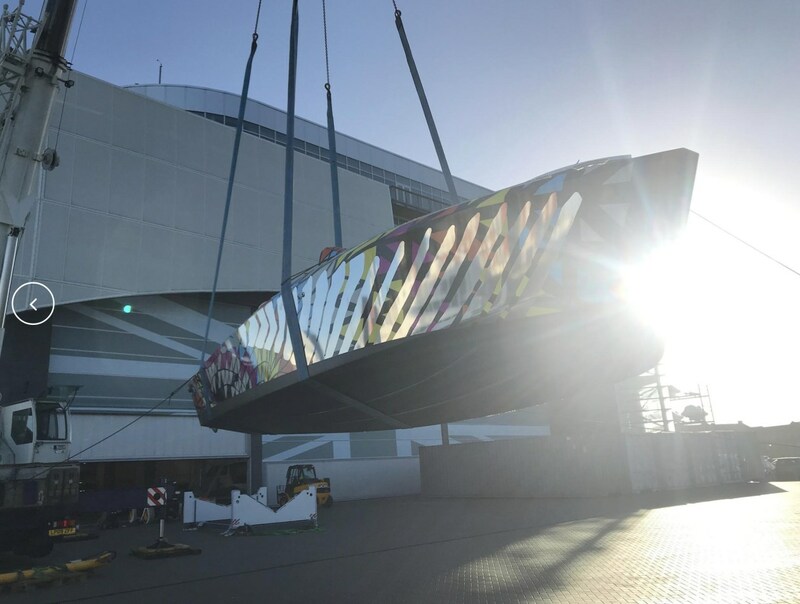 The new boat – spotted covered in vibrant camouflage at the BAR testing facilities – will establish a whole new class of yacht. The mid-30ft craft will bring speed, efficiency and new technology while remaining true to Princess’ core with high quality materials, comfort, seakeeping, craftsmanship and design that will stand the test of time. 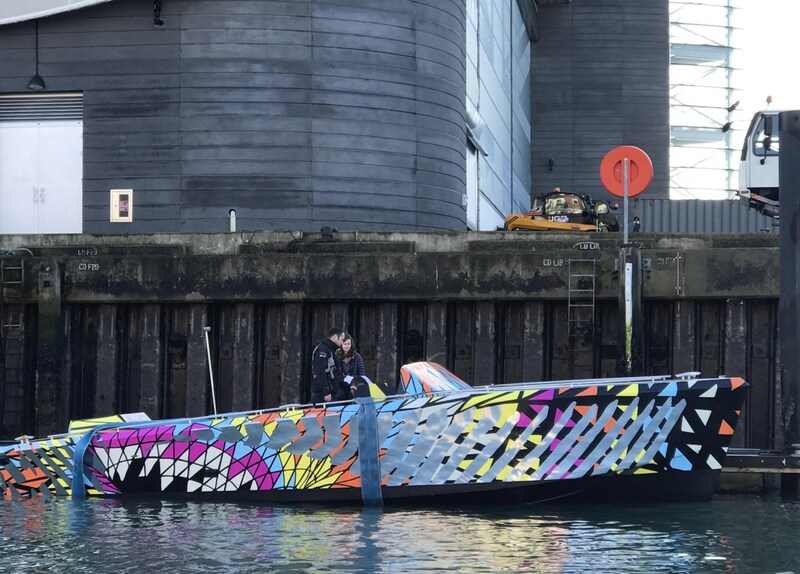 While specific information on the boat isn’t yet available, it was spotted in Portsmouth in ‘dazzle camouflage’ – an eye-catching pattern designed to confuse the eye and disguise the yacht’s features. The bold camouflage seen in the spy photos of the development test boat was created by Katie Sheppard from the Plymouth College of Art, who was among 20 students on the BA Printed Textile Design and Surface Pattern course that competed to design a new version of Dazzle for Princess on this exciting project as part of their curriculum. Dazzle was originally conceived of by Norman Wilkinson for early 19th century Naval vessels, featuring a specific geometric pattern that confused rather than concealed. These original dazzle camouflaged Royal Naval vessels were created in Plymouth – at the very same site where Princess creates its award-winning luxury yachts today. Email equipment@gamart.com.au for more information. ..
Email equipment@gamart.com.au for more information. 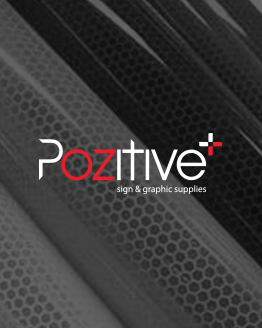 Pozitive has serviced the sign, graphics and display industries for over 25 years. We are looking for a passionate, ..
Pozitive has serviced the sign, graphics and display industries for over 25 years. We are looking for a passionate, highly organised, hardworking individual to join our dynamic Sales team in an Internal sales and Customer Service role. We are looking for the right applicant to start as soon as possible. If you think this is you, then we want to hear from you! + At what point does a hobby become a business? By Peter Nevell, Partner – Tax Only individuals, and not companies or trusts, can have a hobby or a privat..
Only individuals, and not companies or trusts, can have a hobby or a private recreational pursuit. The pursuit of a hobby by an individual may be to supplement wages, create income after having lost a job, test the waters for a new commercial venture or simply follow a passion. The pursuit of a hobby is not the same as carrying on a business for taxation purposes, which means that money derived from a hobby is not income and therefore is not assessable. Conversely, hobby expenditure is not tax deductible. There is a risk for individuals conducting profitable hobbies that the Commissioner of Taxation will regard them as carrying on business operations. A hobbyist is not entitled to an ABN and cannot register for GST because private recreational activities, pursuits or hobbies are specifically excluded from the definition of an enterprise. The Queensland Supreme Court in 1985 concluded that an individual was in the business of primary production after he acquired and used one purebred female angora goat for the purposes of breeding and selling the kids. Afterwards, the Commissioner withdrew his long-standing guidelines on what quantity and land areas were considered necessary for the carrying on of a business operation. They have a significant commercial purpose or character. The taxpayer has more than just an intention to engage in business. There is a purpose of profit as well as a prospect of profit from the activity. There is regularity and repetition. The activity is of the same kind and carried out in a manner that is characteristic of the industry. The activity is planned, systematic and organised in a businesslike manner. They have the necessary size, scale and permanency. Whether the activity is better described as a hobby, a form of recreation, or sporting activity. No one indicator is decisive, and analysis of the indicators must be considered in combination. The conclusion is drawn from the general impression gained during the analysis.An individual can carry on a business of a limited nature which is preparatory to or in preparation for carrying on another business on a larger scale.As losses are frequently encountered by startup businesses, it is recommended that a business plan, incorporating cash flow projections and assumptions, be prepared on a realistic basis. Because of the difficulty involved in determining whether an individual is carrying on a business or a hobby, and the sheer number of individuals making losses from these activities, parliament introduced Division 35 of ITAA 1997 (non-commercial loss rules) during 2000. 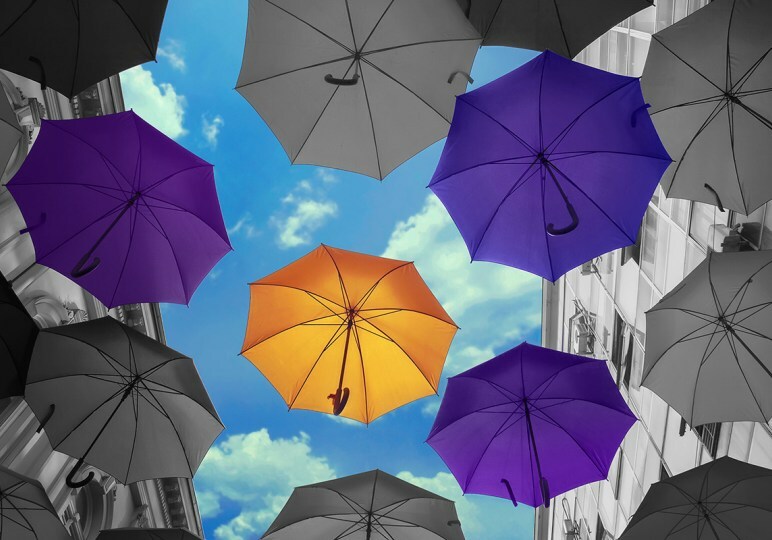 The exception rule applies where the loss occurs from a primary production business or a professional arts business activity, and where the individual has other assessable income of less than $40,000 (excluding any capital gain). There is at least $20,000 of assessable income during the relevant year from the business activity. The business activity results in a tax profit during any three of the past five income years (including the current year). At least $500,000 worth of land and buildings (excluding any private dwelling) are used on a continuing basis in carrying on the business activity in that year. At least $100,000 of certain other assets (excluding cars, motorcycles) are used on a continuing basis in carrying on the business activity in that year. If one of the preceding four tests is not satisfied, you may apply to the ATO for the Commissioner to exercise his discretion. For the Commissioner to exercise his discretion favorably, it is important that the individual demonstrates that the business activity will, more than likely, satisfy one of the tests or produce a tax profit and outline the period within which a commercially viable business would do so. A business plan and cash flow forecast are necessary, as well as supporting evidence from an independent source. Appropriate independent sources include industry bodies or relevant professional associations, government agencies, or other taxpayers conducting successful comparable businesses. Any loss denied as a tax deduction will be deferred to future income years and offset against the assessable income from the “non-commercial” business activity. As a concluding point, once an individual’s activities move from being a hobby to carrying on business, the small business capital gains tax concessions potentially become available. This concession can exempt from tax some or all of a capital gain from the disposal of a capital asset that is used in the individual’s business operations. Given the complexity of these rules, we recommend that you discuss your specific circumstances with your Crowe Horwath tax adviser. We all know the global economy is changing at a rapid rate, and as business owners we need not only stay abreast of ..
We all know the global economy is changing at a rapid rate, and as business owners we need not only stay abreast of changes but, be open to them. 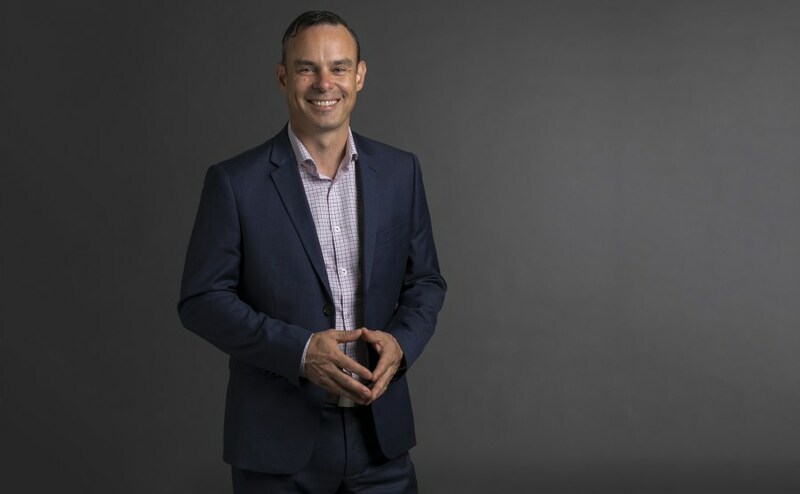 Drawing from key points made in a recent talk by David Lindberg Head of Commercial Banking, Westpac, I highlight in this article, six areas of the economy where a lot of the action is happening. The industries driving the Australian economy over the coming 10-20 years will be Services and Agriculture. Services contribute about 75% of Australia’s Gross Domestic Product (GDP*), employing about 85% of the Australian workforce. Services include such things as education and tourism, financial services, energy and mining-related services, environmental services and financial technology (Fintech). The services sector contributes more to total productivity growth in the economy than does the goods sector. How? While productivity grows more slowly in the services sector, as the services sector is so much larger than the goods sector, the services sector contributes more. An efficient services sector is critical to trade and economic growth. Australian farmers produce food for more than 80 million people per annum and with the emerging Middle Class in Asia, agriculture stands as one of Australia’s major exports. The value of Australia’s agricultural sector is tipped to peak at $63.8 billion this financial year. The total value of Australia’s farm exports is expected to reach a new record of $48.7 billion, $1 billion higher than in 2016. This growth was driven by significant increased crop production with record harvests enjoyed in every state in Australia. The future of economic success for Australia depends on these two industries. As the Chinese get richer at an astonishing rate their demand for our goods and services will grow too. We will therefore see a growing trend away from buying from China, to selling to China. China’s middle class is the biggest in the world and is growing at a much faster rate than America’s. 500 million Chinese citizens will be moving from lower to middle class within the next decade. There are already 109 million Chinese with wealth of between $50,000 and $500,000. By 2020, the number of Chinese millionaires will soar 74% to 2.3 million. A new billionairewas created almost every week in China in the first quarter of 2015. In 2016 Alibaba surpassed America’s Walmart in gross sales, totalling a whopping $257billion sales. On their biggest annual global sale day in 2016, known as Singles Day, they recorded $17.8 billion in sales, up from $5.14b three years earlier. On this day orders were coming in at 175,000 per second. The 2015 China-Australia Free Trade Agreement (ChAFTA) increases the ease of doing business with China. This coupled with Australian innovation, an established services & agricultural sector and our proximity to China, places Australia ahead of nations such as the US, Canada and Euro Union, to get much of this export action. In short, Australia will have more people but less workers. By 2055, the population of Australia will be about 40 million. Average lifespan will be 96 for women, 95 for men. The ratio of working people (15 to 64 years) supporting those over 65 is shrinking. In 1974, the ratio was 7.4 people to every one non-working person, today it’s 4.5 and by 2055, a meagre 2.7. Therefore, we need to do more for less, and automation will be key. 57% of jobs will be automated by 2025, so we will be seeing a massive change in the work people do. Fields where social interaction is fundamental will be those in demand, also those in the creative landscape, such as Health and Education services. The relationship between big and small business is changing and should continue to do so. Small and Mid-Size business (SME) employ half the Australian workforce and generate 57% of GDP. This sector is growing at twice the rate of big business. We are seeing a growing trend of big business outsourcing services to small business. The reason for this is that most of the innovation and new ideas come from smaller organisations who are much more agile and nimble than their bigger counterparts. The new economy will rely on the relationship between big and small business, and all parties need to adjust to this new relationship. For business owners to attract and keep the best talent, they need to offer a workplace that is intrinsically fun. Research shows that the millennials (those born roughly between 1985 and 2004) have quite different drivers than those generations before them. Flexibility – they are not interested in the 9 to 5, and want the flexibility to choose when and where they work – day, night, week days or weekend, at the office or in a café. Work must have a higher purpose & offer social advantage. For the millennials, the notion of “work/life balance” does not resonate. It suggests that work is boring and “life” happens after the work is done. Merging the two is what concerns them. Robotics is upon us and we will see more over the coming five years and beyond in all facets of society. Artificial Intelligence (A.I) will sweep across every business and is already being used. This will include the likes of driverless cars, medical advances and fraud prevention to name a few. Recent research found that 70 % of Americans couldn’t tell the difference between the voice on the phone between a real person and one driven by A.I. Experts and thought leaders are divided as to whether this will bring positive or negative changes to work and society at large, but for sure we need to be watching this space. These six drivers of change are upon us and bring challenges and opportunities alike for our business community. Embracing these changes and seeking out opportunity to benefit from these will be key to your success. Marian Taggart-Holland is the director of Ecolease, an independent commercial broker, specialising in equipment finance to the Sign, Print, Display and Graphics Industry and member of the Visual Impact Suppliers Association. Kodak announced upgrades to the Kodak Proofing Software, making it easier for printers to spend less time planning a..
Kodak announced upgrades to the Kodak Proofing Software, making it easier for printers to spend less time planning and more time printing consistent colour results. New with the upgrade, Kodak Proofing Software allows you to proof spot colours with stunning accuracy with new support for violet ink proofers from the EPSON SC-P7000 and SC-P9000 family. The new upgrade also meets print buyer expectations by achieving standard targets based on ISO 12647, GRACoL, and SWOP with Certified Proofing for Colour Confirmation. While the Kodak Proofing Software gives you better management of colors, it also pairs perfectly with some of the impressive features already in the software including supporting custom media, industry leading color performance and scheduled calibration. This allows printers to calibrate after hours, meeting print buyer specifications and maintaining industry standards. The end result is to achieve top-of-the-line proofing right in the hands of the users to ensure a flawless finished product. EFI Optitex®, the world’s leading provider of integrated 2D & 3D CAD/CAM apparel platform technology, ..
EFI Optitex®, the world’s leading provider of integrated 2D & 3D CAD/CAM apparel platform technology, has launched the Optitex 3D Design Illustrator, a plug-in tool allowing designers the freedom to validate and customize 3D garments in Adobe® Illustrator®. The new 3D Design Illustrator was announced this week at 19th annual EFI Connect users’ conference in Las Vegas. Through working in the native design environment on a PC or a Mac, designers can visualize 3D garments, with accurate proportion and scaling, and customize the garment’s fabric, texture, print patterns and graphic placement without waiting for a printed sample. The plug-in works by importing 2D and 3D pattern files or building block libraries into Adobe Illustrator and activating a window with a 3D representation of the pattern side-by-side. 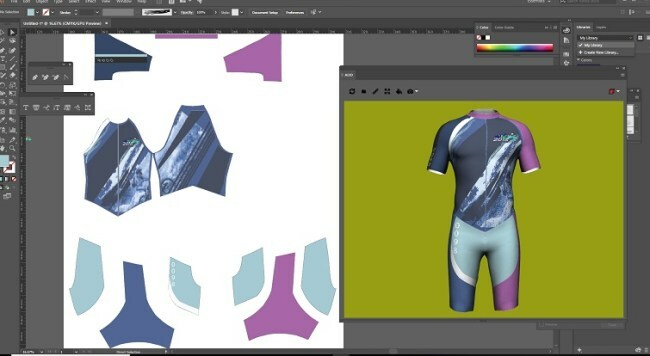 Users can export the final file as a picture or 3D file, validate designs among teams, and send directly for digital or sublimation printing. A video of the new plug-in software is available at: tinyurl.com/y8k3dsm9. 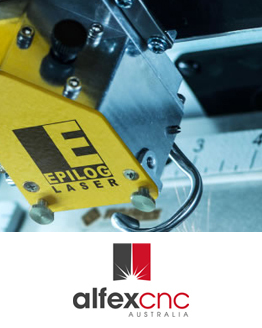 For more information, visit www.efi.com/optitex. EFI also offers Fiery DesignPro textile design plug-ins for Adobe Illustrator and Photoshop on Mac or Windows computer platforms. Fiery DesignPro cost-effectively improves textile design speed and accuracy, lets designers experiment more confidently, and communicates color consistently from design to production. Xerox and Electronics For Imaging (EFI) today demonstrated a new Fiery digital front end (DFE) that will give print providers a powerful new tool to manage high-value jobs that require special embellishments and effects using dry inks including silver, gold and clear. Keypoint Intelligence-InfoTrends projects that digital print enhancement volume will grow at a 27 percent compound annual growth rate through 2020, providing print operations with new business that promises both growth and profit. In February of last year, Xerox announced the sale of its FreeFlow Print Server (FFPS) DFE business to EFI, along with plans to work with EFI to market a single DFE to drive Xerox digital production presses. The new DFE combines unique features from the Xerox FFPS with the capabilities of the market leading EFI Fiery DFE. Access to EFI’s sales and technical field resources working side-by-side with their Xerox sales reps.
A standardized and simplified digital workflow. Fiery Command WorkStation provides a single, intuitive user interface across a customer’s entire print operation. Customized workflows for metallic applications. The DFE optimizes processing speeds for single or multiple jobs with Fiery HyperRIP technology. Color management tools along with gold, silver and clear dry ink capabilities that allow customers to create more metallic effects and tactile embellishments for higher-value applications. The new DFE will be driving a production color press technology demonstration at EFI Connect in Xerox booth # 101. The booth will also display a Xerox AltaLink C8000 with the recently launched Xerox EX-c C8000 Print Server Powered by Fiery along with a workflow station featuring Xerox FreeFlow Core.